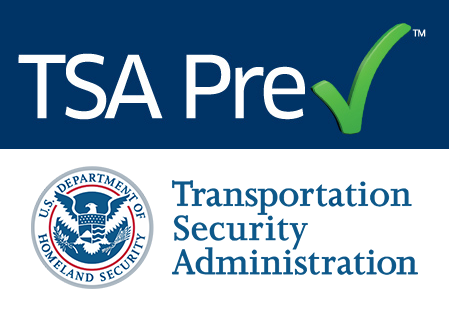 Listed below is an endorsement and approval letter from the Federal TSA – Transportation Security Administration in Miami, Florida. Click on the image for a full size version. 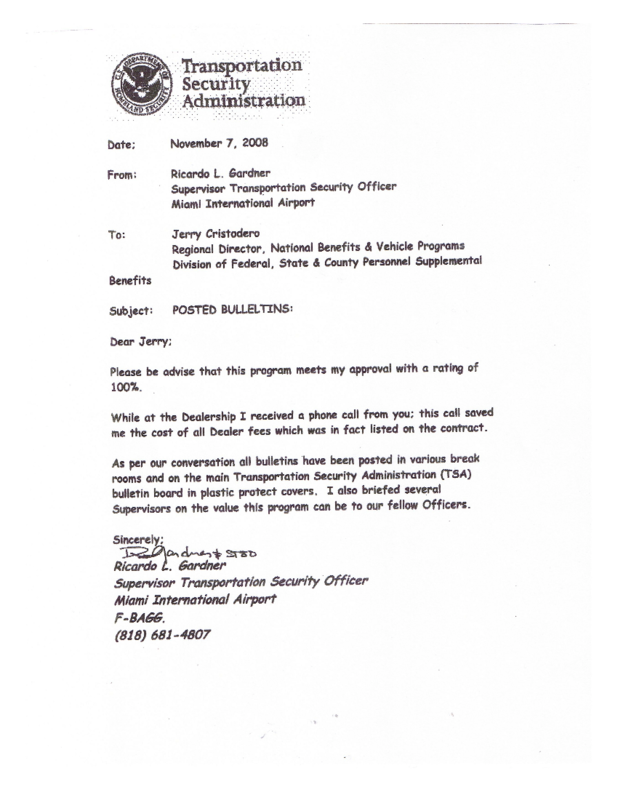 Here is a transcript of the testimonial from the Transportation Security Administration. Please be advised that this program meets my approval with a rating of 100%. While at the Dealership I received a phone call from you; this call saved me the cost of all Dealer fees, which was in fact listed on the contract. As per our conversation all bulletins have been posted in various break rooms and on the main Transportation Security Administration (TSA) bulletin board in plastic protect covers. I also briefed several Supervisors on the value of this program can be to our fellow Officers.